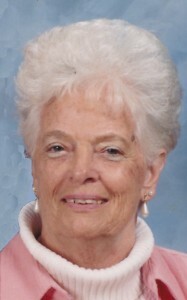 Patricia Withrow Tench, 85, of Charles City, died August 24, 2018. Pat retired from Bell Atlantic Telephone Company after 30 years of service. Pat was preceded in death by her beloved parents, Luther and Anna Withrow; brother and sister-in-law, Donald and Wanda Withrow; brother-in-law, John Claytor; and niece, Janet Pool. She is survived by her husband of 38 years, Charles R. Tench Sr.; sister, Jane Claytor; stepchildren, Margie Hula, Charles R. Tench Jr., Robert H. Tench II, and Robin Schreiber and their families; and numerous nieces and nephews. A funeral service was held Monday, August 27, 2018, at Mt. Pleasant Baptist Church, with interment in the church cemetery. In lieu of flowers, memorial donations may be made to Heartland Hospice Care, 10800 Midlothian Turnpike, Suite 303, N. Chesterfield, VA 23235.